OnePlus is one of those companies that appear one day and next thing you know, they are all over the internet. Their original OnePlus One phone was a major success in the mobile space due to its low price yet remarkable specifications – the ultimate goal of the company and their “Never Settle” slogan. We love talking about “the little OEM that could”, not necessarily because they are good or bad, but because their business and marketing strategies are very fresh… for better or worse. While they found themselves in plenty of controversies over their hardware, software and advertising promotions, they released a remarkable product. Not too long ago they announced their OxygenOS ROM for their OnePlus One, a software solution that promised to merge simplicity and usefulness into a pragmatic and fast Android fork. We covered the original AMA the team had and learned a lot of juicy bits, but not much in-depth enough to sate our hype. Now OnePlus has hosted another Ask Me (Almost) Anything event where redditors fired their curiosity at them. Co-founder Carl Pei (/u/carpe02) and David S (/u/devildv) of OnePlus shared their time with the internet, and the thread proved a success with over 500 replies as of writing this. There’s “extremely high chances” that OxygenOS will not rollout tomorrow (seemingly confirmed as well, and they’ve got their promotional devices ready to make up for it). This is because certification is taking longer than expected, and even if they didn’t bundle Google Apps they would still have to pass. OxygenOS is close to Pure Android, but offers a lot of additional and useful functionality. Their goal with OxygenOS is not getting people to switch, but providing choice and collecting feedback. Camera2 API not coming on first OxygenOS release, no details on whether it’d be fully featured or limited once it does get implemented. UK Lollipop rolling out at the same time as other countries (which suggests a global synchronized release). Initial OxygenOS Lollipop ROMs are based on 5.0.2. OxygenOS will be updated through OTAs after the initial manual installation. When confronted about their slow updates in the past, they said they have plans to deliver faster updates, but didn’t want to talk about it in-depth because of NDAs. They also want to keep it a surprise. OxygenOS update to 5.1 not coming soon, as the ROM team is still being set up so they will go slow. Something in the pipeline will drastically speed things up in the months ahead. When asked if OxygenOS would feature a JIRA or if some components other than the kernel would be open sourced, they replied by saying they have always been very community focused and that future information regarding this will make us happy. At least two years of support for the One (software). OnePlus Two release is still planned for Q3 2015. The OnePlus Two will be “a different product with a different price”, which implies the pricing might be higher than last years’ OnePlus One. They will still keep razor-thin margins to put out cheap phones, despite rising prices of components. No news regarding the processor in the OnePlus two: when asked about it and the SD810 concerns, they didn’t know “how to reply without p*ssing off a chipset supplier” – but they did say that they won’t go with mediatek (phew!). They are excited for the OnePlus 2, but are really focused on the One and couldn’t specify if the Two would use UFS 2.0 or eMMc 5.0 for storage. At least one version of the OnePlus 2 will have band 20 LTE. Their stance on removable battery and SD cards is that the former are smaller and the latter are “a nightmare” for developers, which implies the OnePlus Two will not have these features. They also believe Intel x86 chips don’t provide the Flagship Killer experience. The device will feature a “pretty good” Yamaha chip for audio. OnePlus Two will run OxygenOS and they still “support” users flashing alternative ROMs. They didn’t say if the invites for the Two would be raffled again, but they claim that they are “improving the experience” and that the launch of the Two will be handled a lot better. They claim to have learned a thing or two with the marketing of the One, but they will still try a lot of crazy ideas to see what sticks. They have an unspecified new product coming next month. The moniker they use for it is DR-1, and they state that it is a “drone” but it could simply be a wordplay to throw us off. It seems to be an actual drone! When asked if their new device would be able to hit the market by April in Malaysia where they missed their target by a year and a half they replied that they realize that they severely over promised and under delivered, and that they don’t want to repeat it. Android TV boxes are not super interesting to them, which means their currently teased product is likely not a TV box. There’s still complaints about touchscreen issues even in Q4 2014 Indian release devices. OnePlus still hasn’t pinpointed the cause, but they are committed to finding it with intense testing. The vast majority of issues are fixed in current revisions. Yellow tint in the OnePlus One is allegedly due to the LEDs at the bottom of the screen, no comment on whether it is solved for the OnePlus Two (but it most likely won’t happen again). White and Silk White back covers to be sold soon. They will attempt their best to decrease gaps between launch times across the world. When confronted about India sales’ customer support (repairs), they replied they are aware that the service is not up to standard and that they are working on improving it. Vikas (India GM) and responsible people are working around the clock to solve it. Improved shipping coming to Canada soon. Both battery bank models to be released in Europe and India sometime mid-late April. No current plans to release in Australia. Support team will remain an important investment. We should expect another flagship killer every year. They have a holistic approach to design, and they focus on every component. All-day battery is still extremely important to them. EU operating centers likely coming in 2015. OnePlus has moved beyond 700 people, but due to increased operational cost they are now focusing on ramping up efficiency and culture. While they are looking for new markets, they do not want to go into those that are more expensive to do business in. When asked if they thought OnePlus would find a carrier to get more popularity, they replied that it depends on the region. They also added that they don’t want to sell to clueless users, but rather those who understand products and appreciate quality. 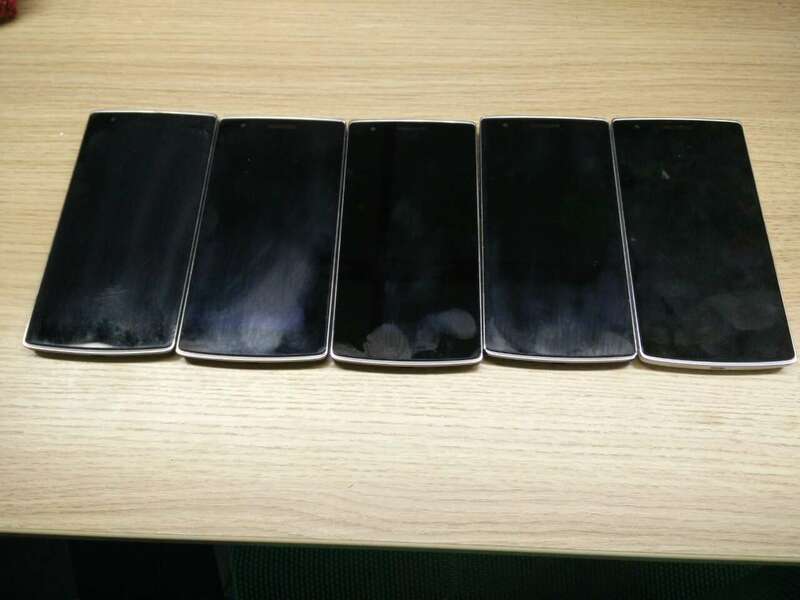 A user asked if they had considered a compact phone due to demand. Carl asked for data, the user provided it, and they said they will consider it. David sees an interesting design in the S6, and HTC One series as synonymous with quality. He also had an M7 in the past. Carl’s top 4 influential phones for 2015 are the M9, the S6, the iPhone 6s and OnePlus 2 (of course). When asked about their opinion on smartwatches, Carl replied by saying that he backed the Pebble Time, but gave no hints at a OnePlus smartwatch. They didn’t expect their level of success due to being a new and (relatively) small company. When asked about Verizon “stealing” their motto for their promotions, they said they are flattered. OnePlus seems to be on track for a fantastic year of revamped software and hardware. OxygenOS might not be coming as soon as we had expected it to come, but at least that means that they seem to be sticking to their promise of giving out 5 OnePlus One devices . OxygenOS is shaping up to be a very neat ROM, but skipping on the Camera2 API and delaying the 5.1 rollout means that the experience will not come fully featured. Regardless of that, we can not wait to see how their devices perform under the new ROM, and hopefully some of our clever XDA users will manage to bring OxygenOS’ breathes of fresh air to other devices. Their teasing at a new strategy for faster system updates is also enticing, and the fact that the plan is under a non-disclosure agreement hints at something substantial. This new software is still shrouded in mystery, but it could give us a breath-taking surprise. As far as the hardware goes, the OnePlus Two is still too far off , and it seems that OnePlus themselves don’t have all the kinks ironed out. While we don’t have details on the processor, knowing that it won’t feature a mediatek chipset nor Intel’s adolescent x86 mobile processors can help us rest a little easier. We just might see an Exynos chipset licensed to them, but history makes us skeptical as other than early iPhones and Meizu phones, not many devices go that route. Otherwise, they’d have to go with a Qualcomm or a surprise alternative. Their reluctance towards curved screens is probably more of a manufacturing limitation than an actual corporate preference, given that the process is terribly expensive and even Samsung sees low yields for their S6 Edge. Other than that, their focus on battery life and thin profit margins might make the fine (and affordable) successor we are all waiting for. Hopefully they do manage to improve their availability and sale procedures as well as their infamous marketing schemes. As for the new unannounced device, a hunch tells me it will be related to virtual reality gaming, given the teasers they’ve shown plus the “DR One” moniker, with the first term’s resemblance to the VR acronym. Considering the boom of VR with new devices being announced frequently, it’s not a crazy expectation. Time will tell. As for the company, we admire their attention to detail and their desire to bring affordable phones to the spec-hungry. A quote from the AMAA stuck with us: “we are committed to putting great products into the hands of as many people as possible”. Their intentions might be questionable, as any corporation is ultimately after profit. But with the OnePlus One, they certainly delivered. And that enough justifies their industry victories. What do you think of OnePlus and what do you expect from their Two? Let us know down in the comments! Article was edited to reflect what seems like confirmations of the DR-1 being, in fact, a “drone” product. At the time of writing, no comments outside of the AMAA confirmed the product category.